Jendamark offers a complete, one-stop automation solution for the automotive industry. 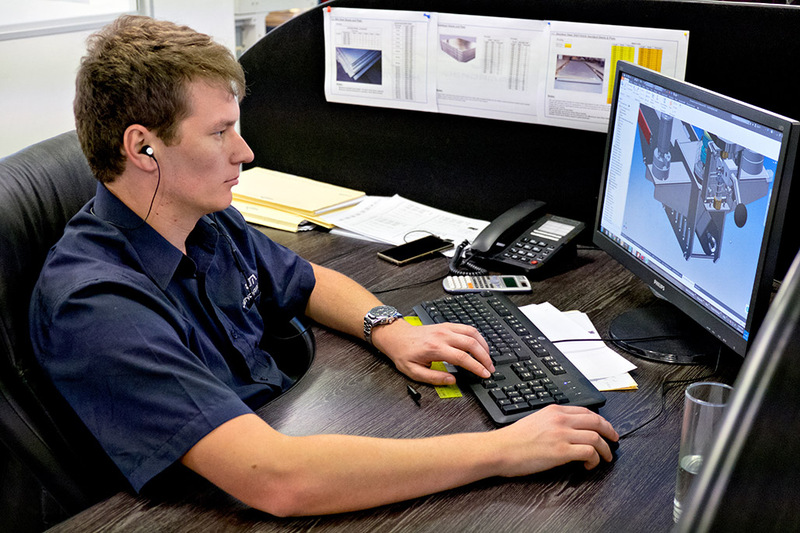 From first contact to after-sales support, our team ensures that customers get the specialised machines and service they need. The design department works with the customer to understand their specific requirements. If an innovative approach, beyond the standard solutions, is required, the research and development team will step in to assist. Once the concept is approved, it proceeds to final design. Technology forms an integral part of every Jendamark machine. In the age of Industry 4.0, software controls are an essential part of the design phase and work seamlessly with the mechanical and electrical hardware. Once a design is signed off by the customer, the physical manufacturing of the actual machine or production line takes place. The machine or line is assembled and checked to ensure that everything works as it should and meets the highest quality standards. 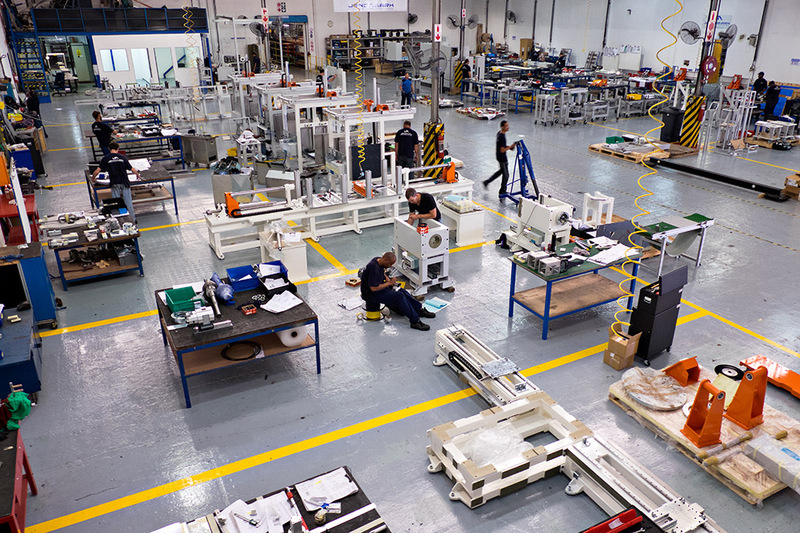 The machine or line is then disassembled and reassembled in the commissioning department, where the customer will check that it functions according to the design specifications and provide final sign-off. The final product is then boxed and shipped to the customer’s facility. 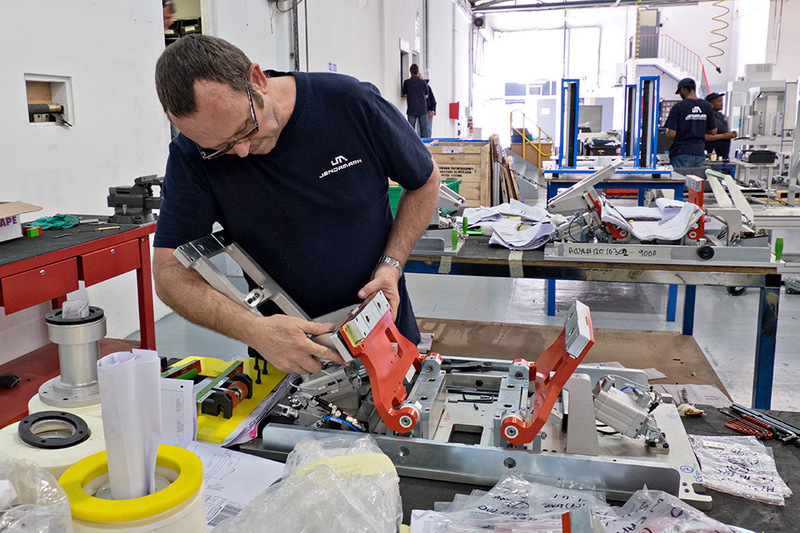 Jendamark’s team follows the assembly system and installs it on site. As part of the installation process, the Jendamark team will train operators on the line. In some instances, training may also be done prior to installation using Jendamark’s virtual reality set-up. 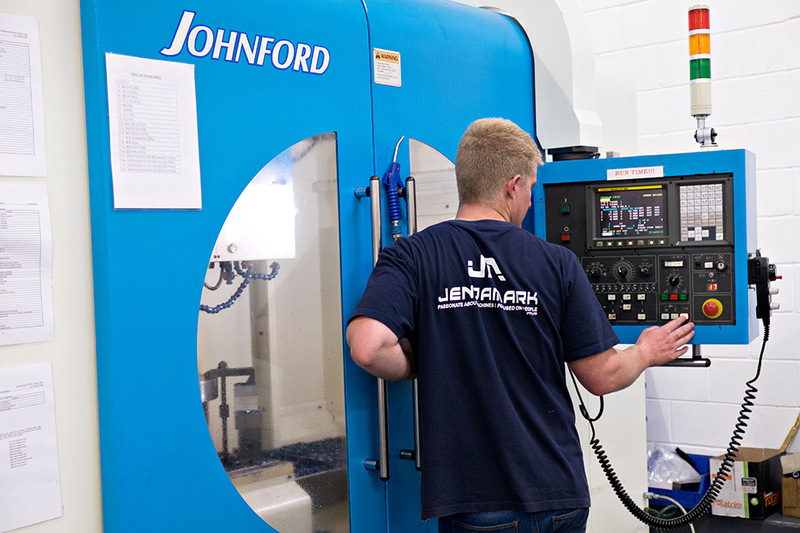 Jendamark machines are designed and built according to the highest quality standards and come with either a 12 or 24-month warranty, depending on the facility involved. A 24-hour on-call service is available for the full duration of the warranty period.